Adam Smith was a holistic thinker who offered a view of the world, and of human behavior, that is rich and complex. The thought of this world-historical figure was generated by his time as student and professor at the University of Glasgow. Among civilized and thriving nations, on the contrary, though a great number of people do no labour at all, many of whom consume the produce of ten times, frequently of a hundred times more labour than the greater part of those who work; yet the produce of the whole labour of the society is so great,that all are often abundantly supplied, and a workman, even of the lowest and poorest order, if he is frugal and industrious, may enjoy a greater share of the necessaries and conveniencies of life than it is possible for any savage to acquire. Smith is the world-famous author of Inquiry into the Nature and Causes of the Wealth of Nations (WN). This was published in 1776 but we know, from student notes that have survived (and published as Lectures on Jurisprudence), that he had already considered many of its leading themes at Glasgow. Indeed the title page of the book carries the designation ‘Adam Smith, formerly professor of Moral Philosophy in the University of Glasgow’. The great achievement of WN was to discern the principles of order in the seeming chaos of commercial or market behavior – it wasn’t random, it could be reduced to a few simple principles. 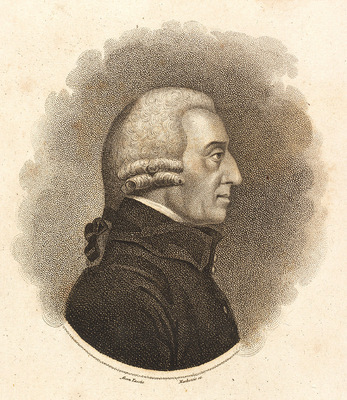 Smith’s colleague at Glasgow, John Millar Professor of Civil Law, called him the Newton of political economy for that reason. Smith also published another important book. The Theory of Moral Sentiments (TMS) appeared in 1759 and was based on his Glasgow lectures. It went through six editions in his lifetime. TMS locates moral philosophy in the interaction of human feelings, emotions or sentiments in the real settings of human life. One consequence is that economic behaviour is necessarily situated in a moral context. It is a caricature of Smith’s thought that he was advocate of unbridled capitalism. 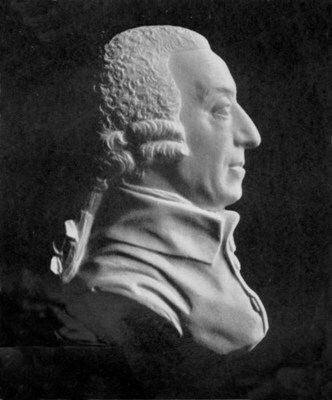 The moral philosopher and political economist Adam Smith (1723?-1790) was appointed Professor of Logic at the University in 1751. He became Professor of Moral Philosophy the following year and held the chair until 1764. Smith served as Dean of Faculties and as the library's Quaestor (an official in charge of accounts), and he was elected to serve as Rector from 1787 to 1789. The University has a building, a library, a chair and a research foundation named in his honour. Born in Kirkcaldy, Smith matriculated to study at the University in 1737 and was profoundly impressed by the teaching of the Professor of Moral Philosophy, Francis Hutcheson. He went to Balliol College, Oxford as a Snell Exhibitioner in 1740, returning to Scotland in 1746. 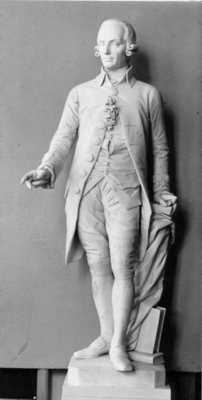 He established his reputation as a teacher and writer at the University (Theory of Moral Sentiments was published in 1759, based on his lectures on Ethics), but left in 1764 to accompany the young Duke of Buccleuch on a continental tour. He returned three years later to live in Kirkcaldy, where he worked on his classic study An Inquiry into the Nature and Causes of the Wealth of Nations, published in 1776. In 1778 he was appointed a Commissioner of Customs in Edinburgh. During his time in Glasgow, Smith lived in Professors' Court off High Street with his mother and his cousin. He was a sociable man who cultivated the opinions of local merchants as well as those of intellectuals. In 1787, he remembered his years as a professor at the University as "by far the happiest and most honourable" in his life. For more information on the global significance of Adam Smith's work see Adam Smith in 10 Minutes by Professor Berry, Professor of Political Theory. No sources are currently listed for this achievement. The publication of An Inquiry into the Nature and Causes of the Wealth of Nations, generally referred to by its shortened title The Wealth of Nations. World Changing Project, "Founding modern economics," in University of Glasgow World Changing (University of Glasgow, 2012); http://www.worldchanging.glasgow.ac.uk/article/?id=116 (accessed April 25, 2019). World Changing Project. "Founding modern economics." In University of Glasgow World Changing. University of Glasgow, 2012. http://www.worldchanging.glasgow.ac.uk/article/?id=116 (accessed April 25, 2019). World Changing Project. "Founding modern economics." University of Glasgow World Changing. University of Glasgow, 2012. 25 April 2019 <http://www.worldchanging.glasgow.ac.uk/article/?id=116>.